Wonderful host ideas!! Thank you! These are so adorable personalized gifts! I love your picks! I usually just have a bottle of wine but these options last longer! I have the same cocktail shaker in my gift guide this week—great minds think alike! These are all wonderful ideas! I love those fun wine glasses! I think host gifts are so thoughtful. That monogrammed cutting board is swoon worthy! 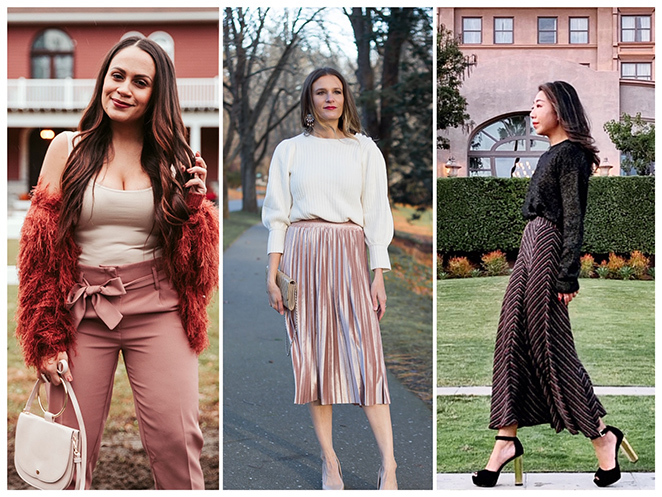 Thanks for hosting and I hope to see you on my Fancy Friday linkup party! What a great idea to share ideas for hosts. I want to bring something but remember too late. How nice if I had a few things stock piled and ready to go! I love these sentimental gifts idea. 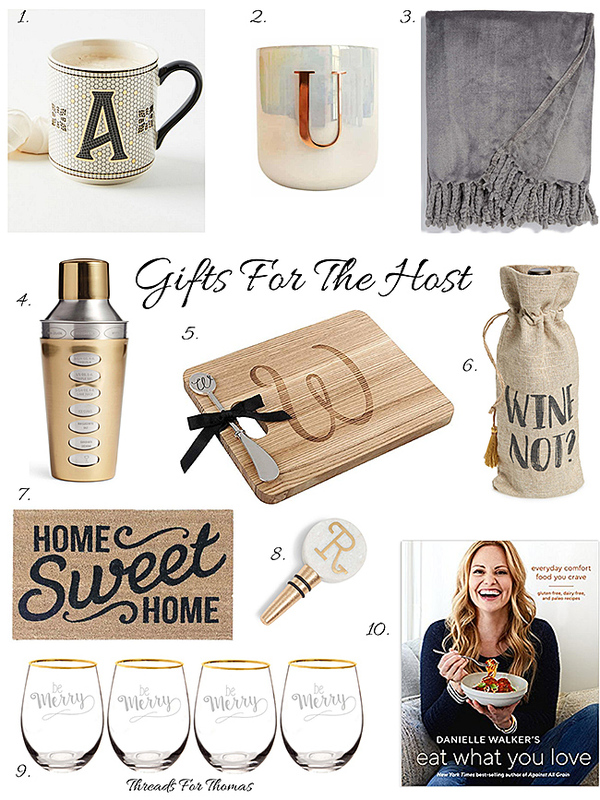 perfect hostess gifts! love the doormat idea! Those are something I always want but dont buy! such a great gift! The monogrammed candle is so cute and really would make just the perfect gift! oooh! The door mat is a new idea. I would love a new one actually haha! I love the second cup and the throw because I can't get enough of those type of items! Cute ideas dear! Love the door mat, such a sweet accent indeed.